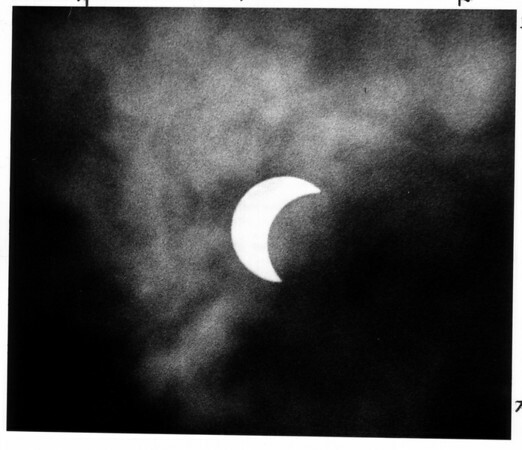 Eclipse, the moon moves across the sun. the white in the picture around the moon is clouds. Photo - By Ron Schifferle - 5/30/1984.